With my work at Cycle Chic and Copenhagenize I'm honoured and privileged to meet amazing, inspirational people all over the world. It's even better when you get to meet them and work with them right here at home in Copenhagen. I spoke on stage at the TED x Copenhagen conference in 2010 about the Culture of Fear and the preparations for this year's TED x Copenhagen are in full swing up to the big day on September 18th, 2012. The theme this year in Copenhagen is Movements. Social movements that are changing the world. Check out the line-up on the TED x Copenhagen website and look forward to seeing the talks when they are online. They will be fantastic. It's a brilliant array of important topics. I'm honoured to have been asked to be the host for this year's conference and I'm looking forward to it. It's a TED x Autumn for us. Apart from me hosting the day in Copenhagen, Mary Hudson Embry - Director of Planning at Copenhagenize Consulting will be giving a talk about the Copenhagenize movement. In addition, I'll be speaking at the TED x Zurich conference in October about Bicycle Culture by Design. For now, the focus is on making the TED x Copenhagen 2012 a fantastic day. And with such an inspiring group of people, it is guaranteed to be. 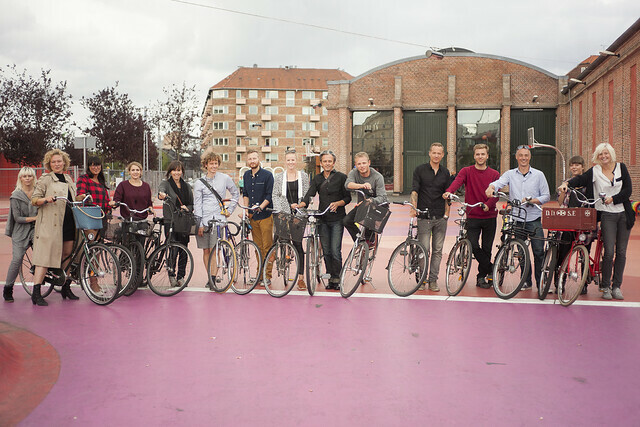 And let it be known that the TED x Copenhagen team uses bicycles when they need to get around their city. It's a no-brainer. It's 2012, after all.